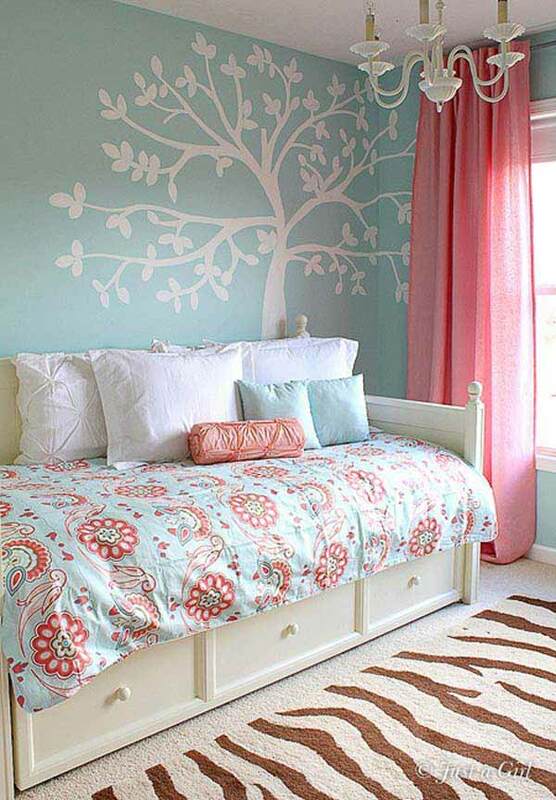 How to make your home decor look elegant and away from the monotony and dullness? 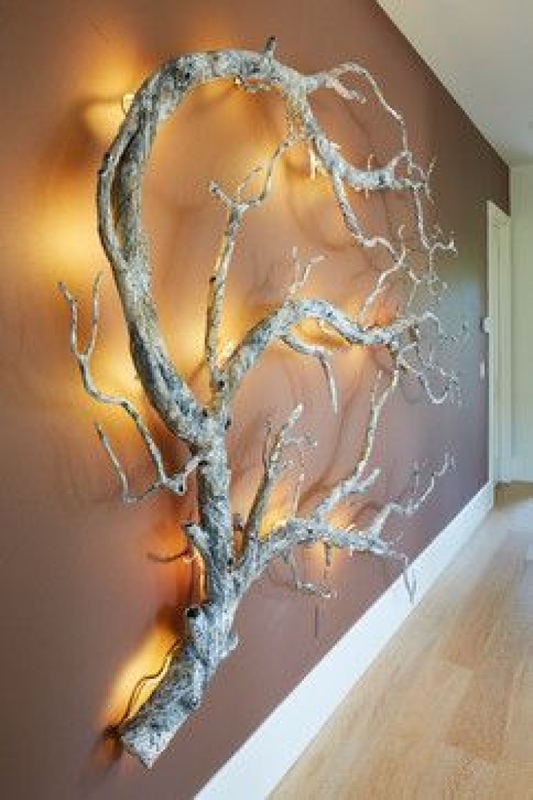 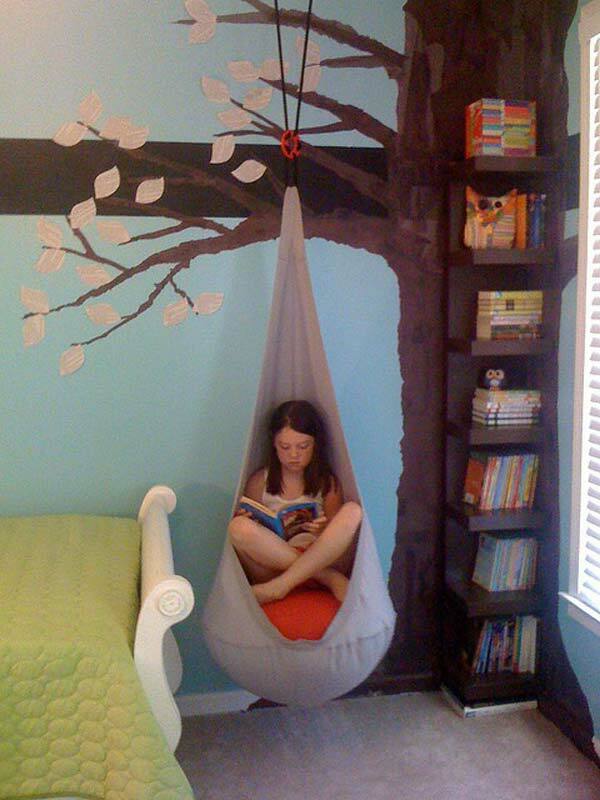 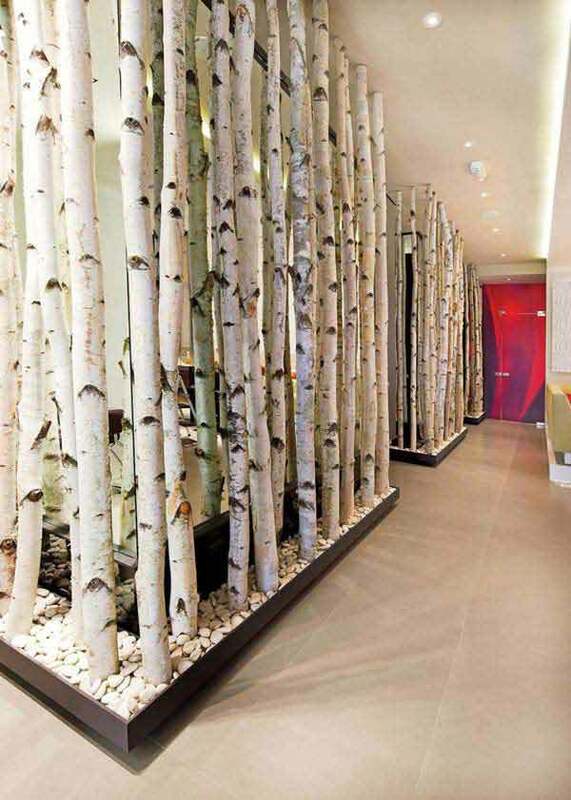 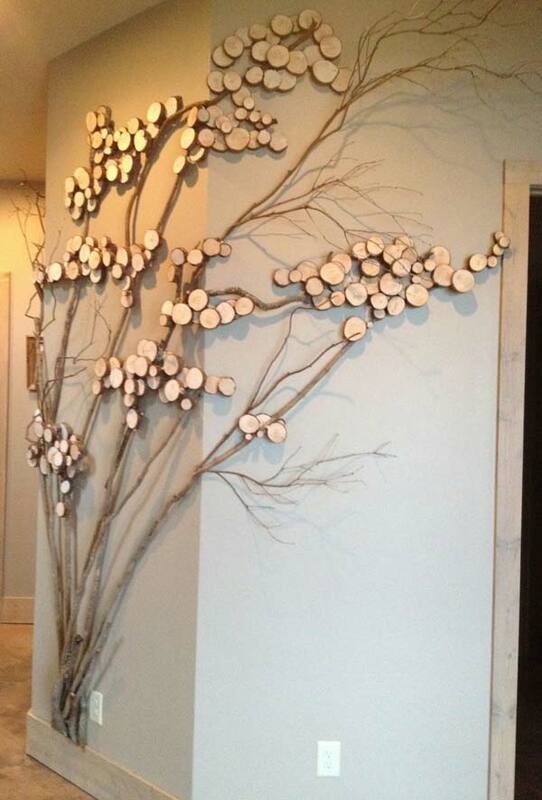 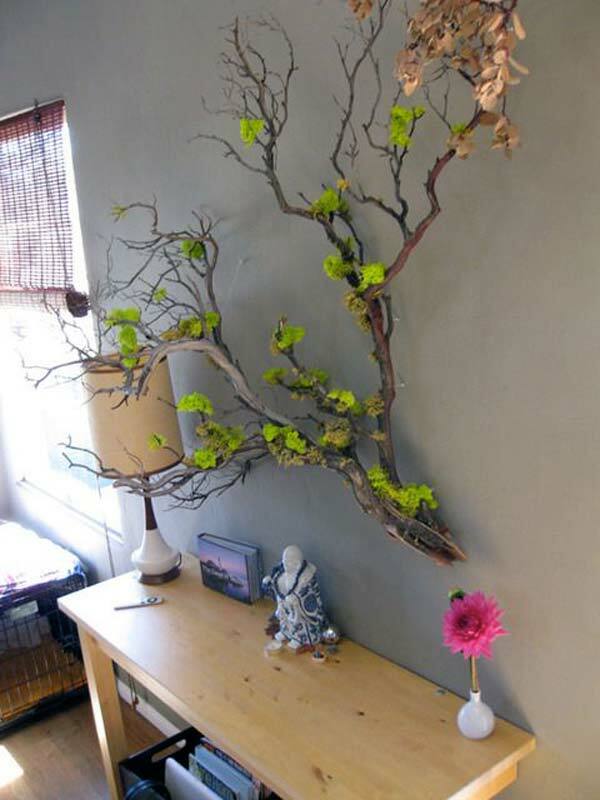 How about using trees or even tree branches as a basis for wall decor? 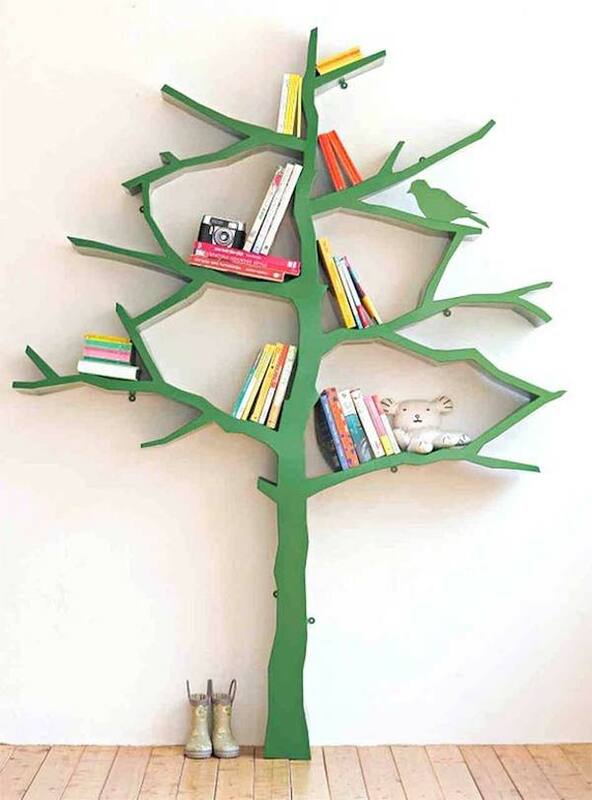 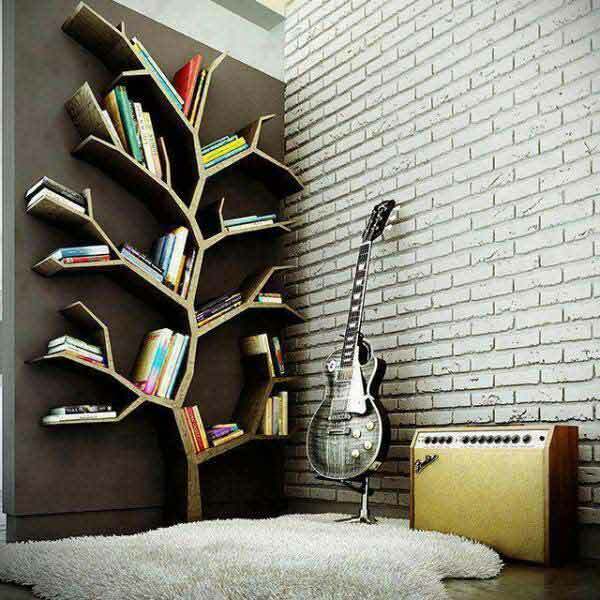 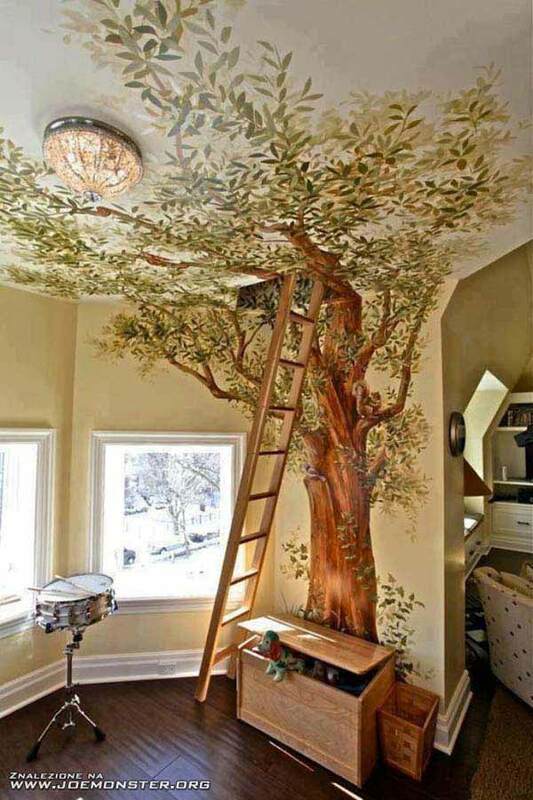 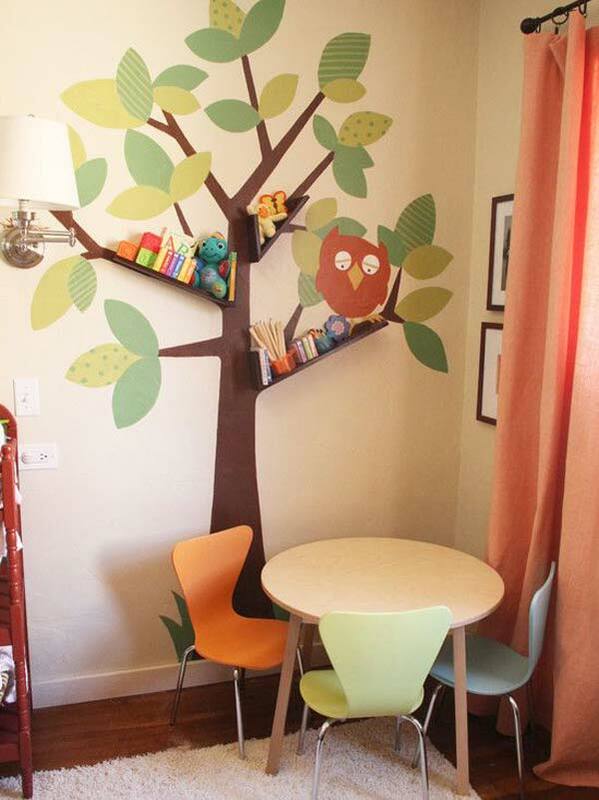 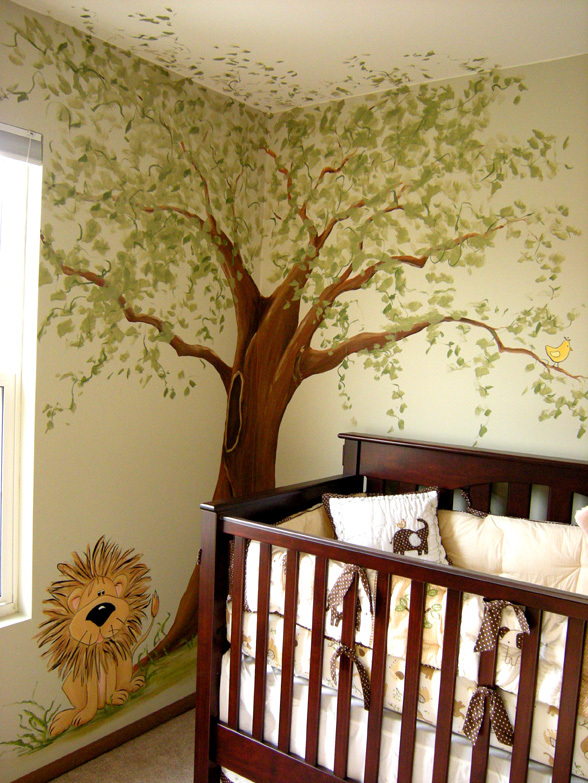 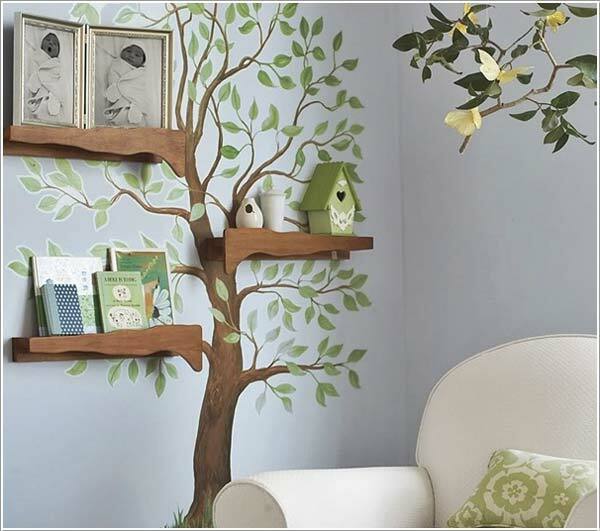 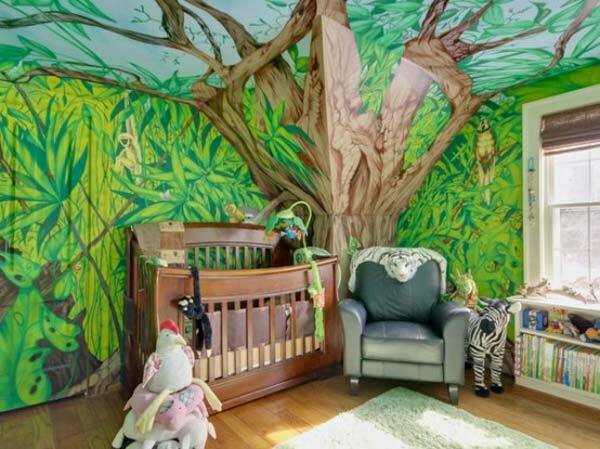 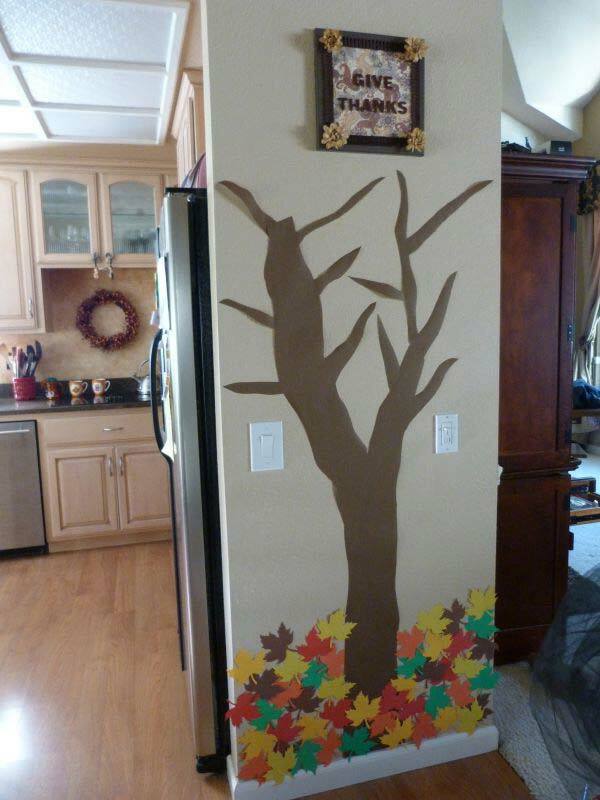 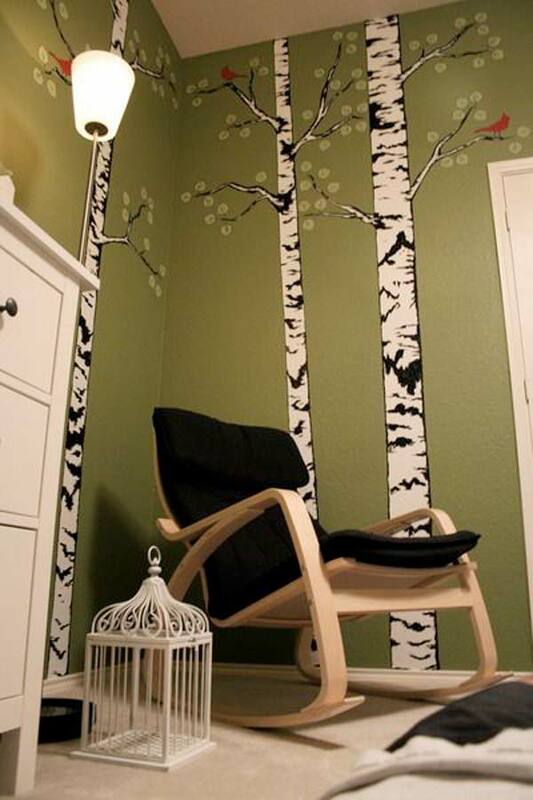 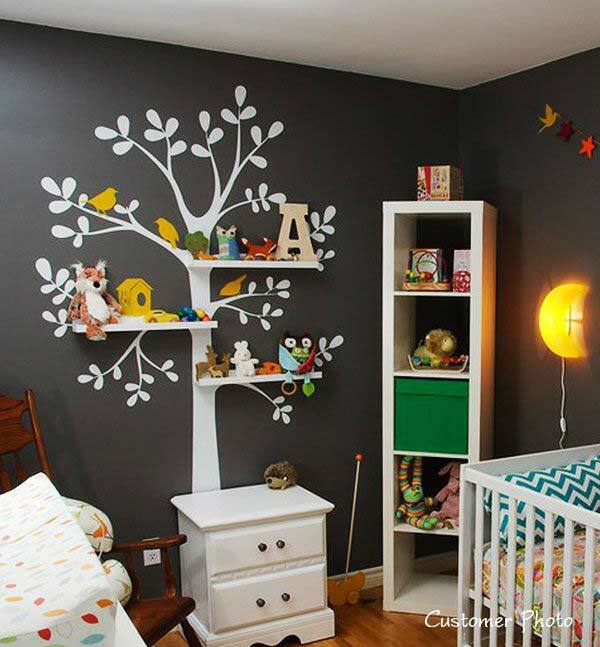 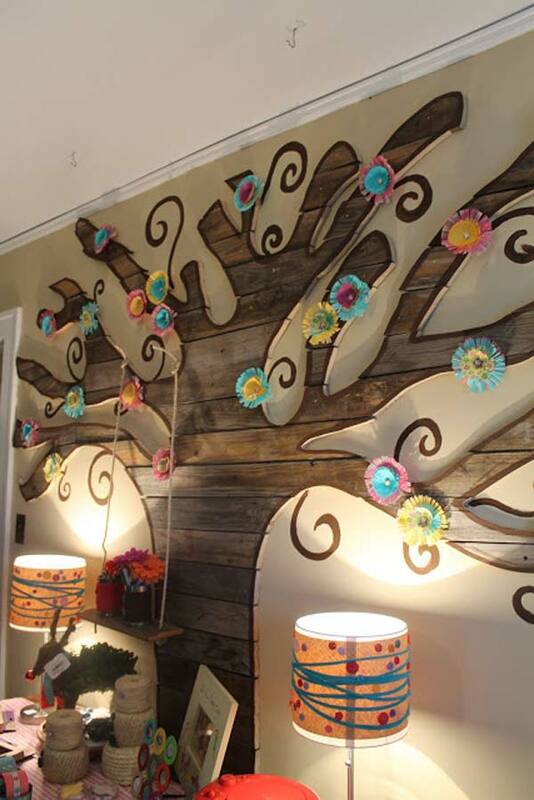 Decorating a wall with tree decals, paintings or tree shaped shelves would be a beautiful and inspiring idea. 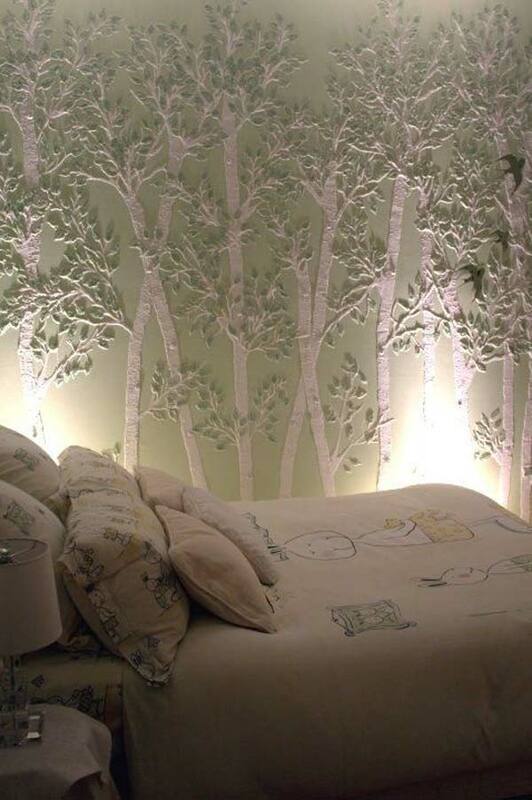 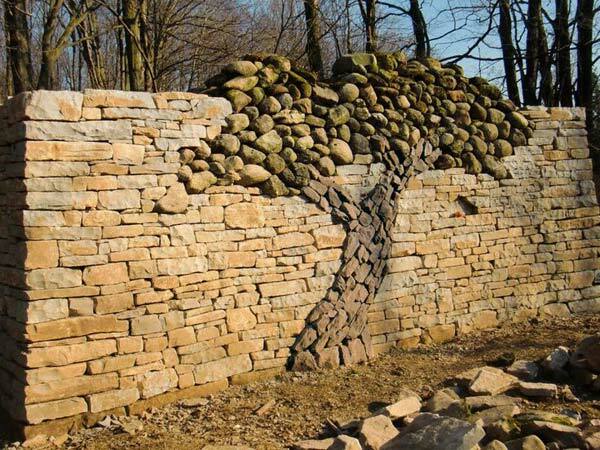 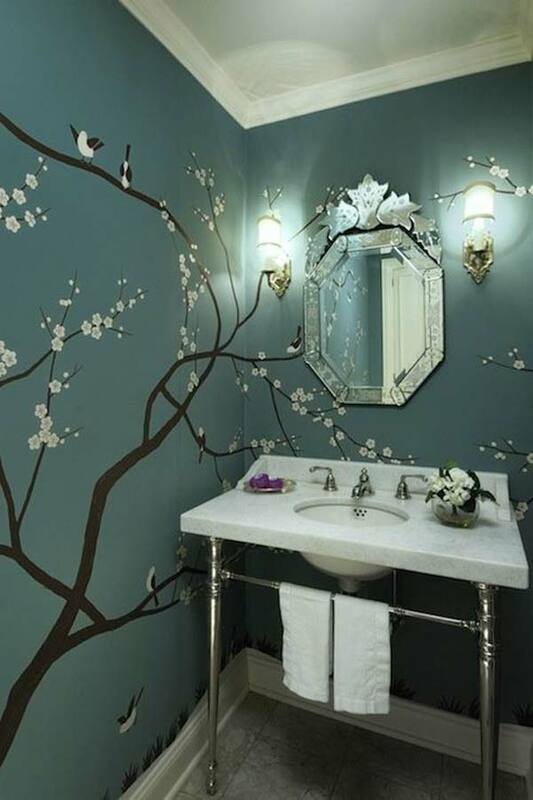 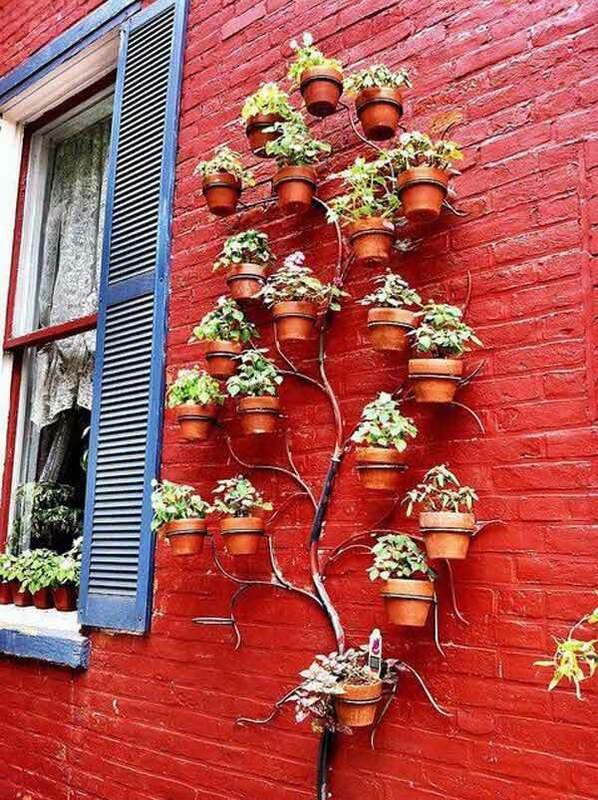 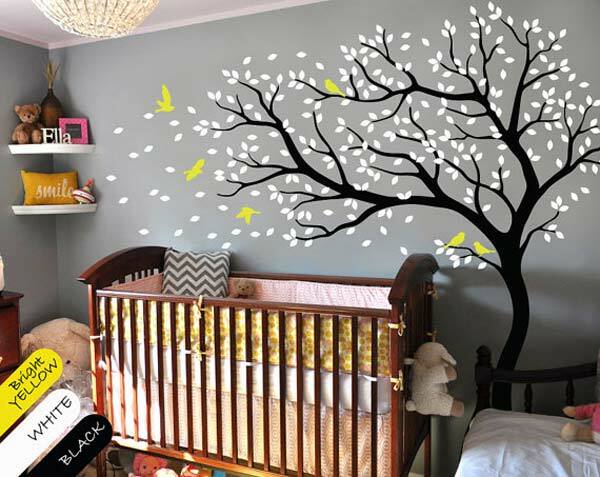 Just imagine what a charming landscape that a tree with branches, leaves, butterflies or birds on the wall it is! 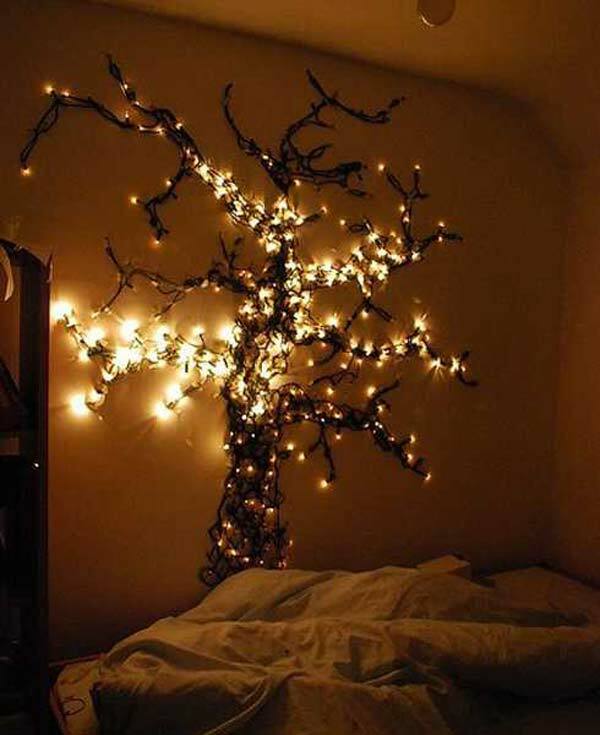 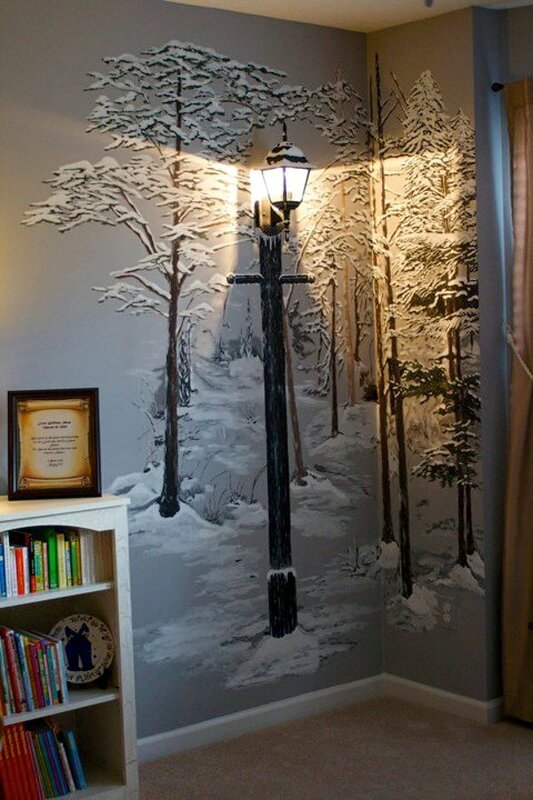 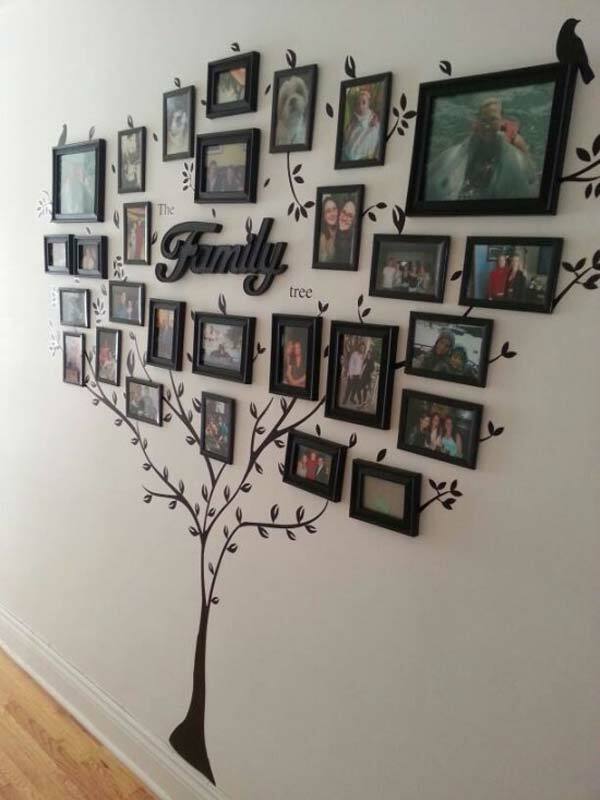 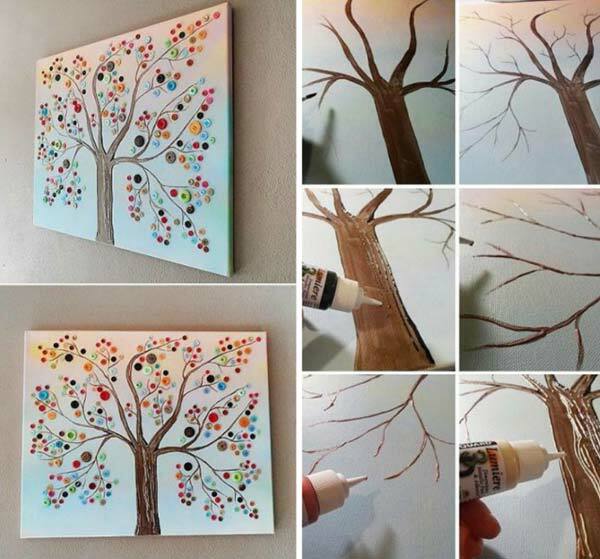 You can draw, paint, or even paste a real tree on the wall of your home. 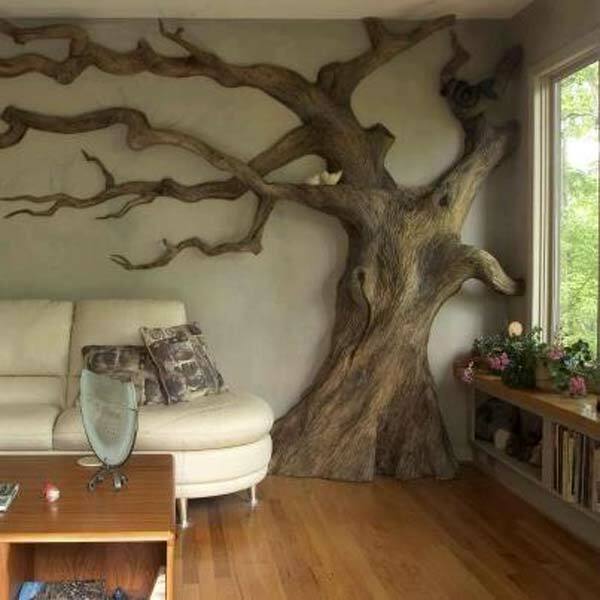 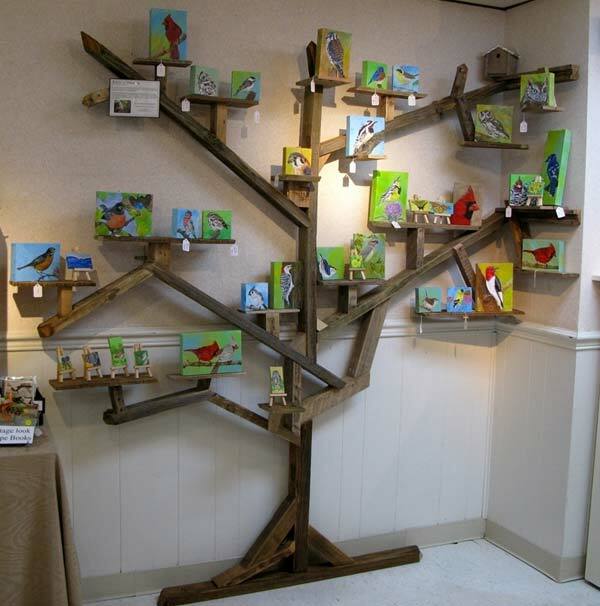 Moreover, these beautiful tree art pieces elegantly fill a large space on the empty walls. 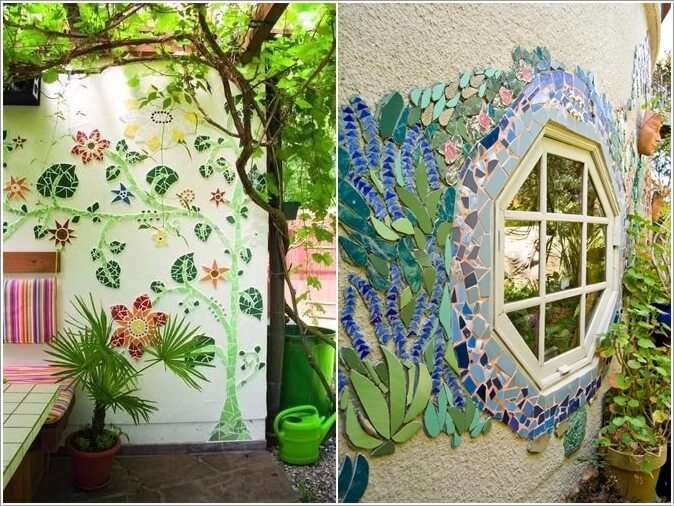 Here are some examples you should take a look. 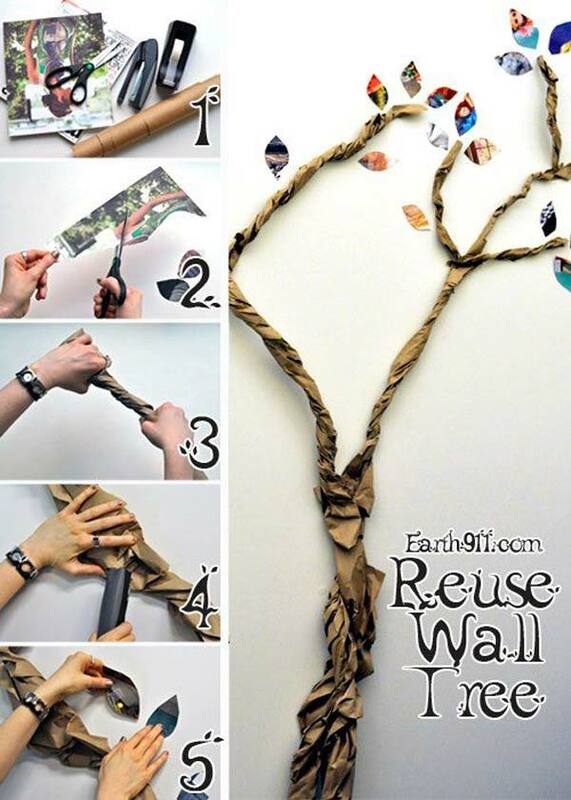 They are all wonderful enough to provide a tree wall decorating idea for you.